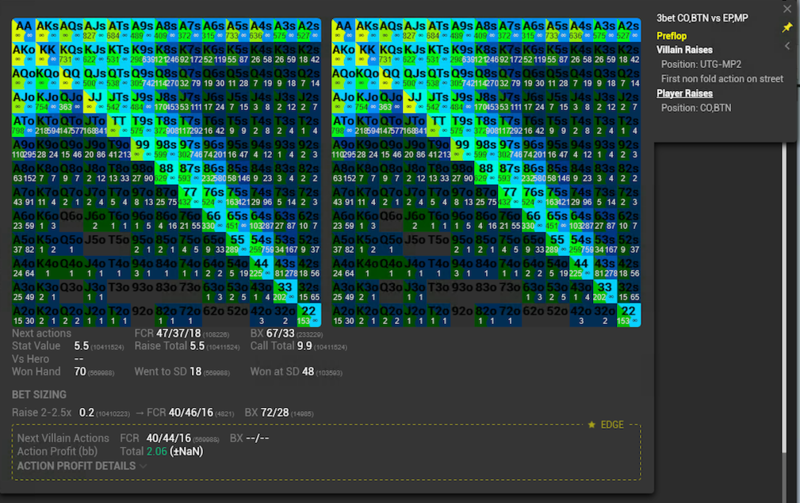 I would like to look at specific opponents' stats vs me (vs-Hero) when I do session review in tracker. What's the easiest way to do that? What happened to Range Research info? How can I get back the old pop-up? Have you replaced it with just "General"? 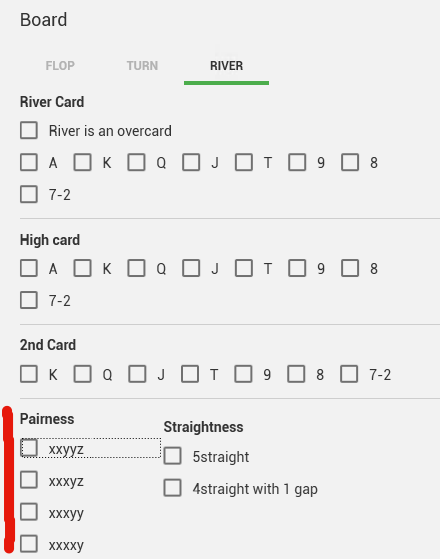 I'd like to filter for runouts with unpaired flop/turn and the board pairing on river (xxyzw). In the Popup editor this particular board Pairness is missing. Can you add it? 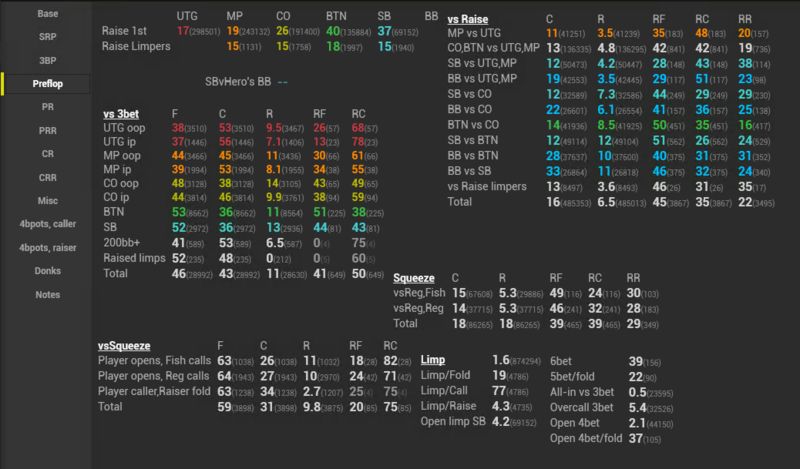 RE: Stuck on "Connecting to server"
Is there a way to replace the infinity symbols in the diagram with actual hand counts? I get two diagrams that show the same. How can I get the 3B and C ranges shown separately in the two diagrams? 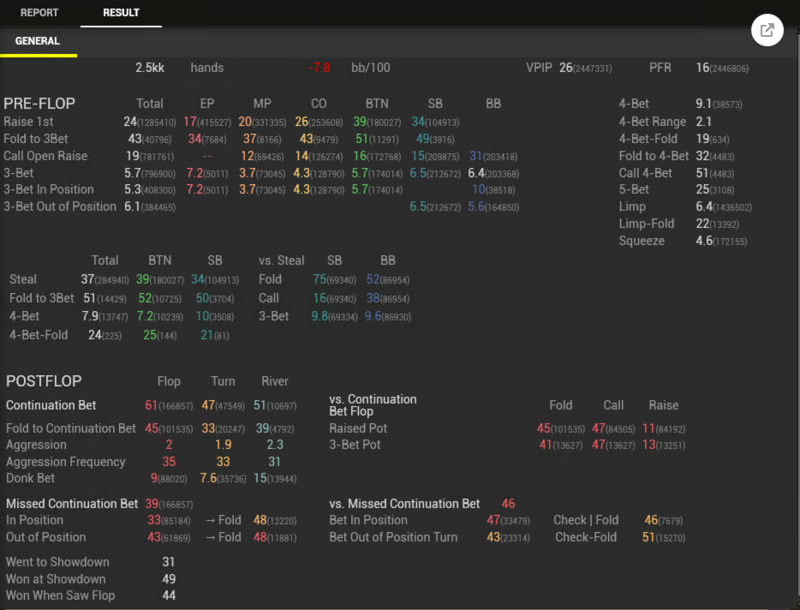 I am trying to filter out spots where BTN raises, SB folds, BB 3-bets and BTN defends with calling the 3B or 4-betting. 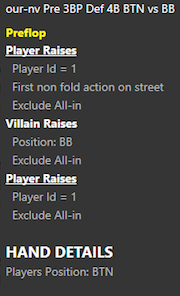 I want the 3B, C3B, 4B not to be all-in because I am looking for scenarios where the opener has the option to both call 3B and 4B. 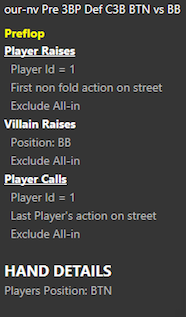 Then I want the 3-bettor to have the option to call or 5B all-in after a 4B. Do these filters look correct? It appears that BTN has fewer opportunities to call the 3B (330775) than to 4B (339790). If the filter was correct, they should be the same. Can you spot what's wrong? Can it have to do with effective stack size among VPIP'ed players?